oversees the programming and management of the Aronoff and Music Hall. 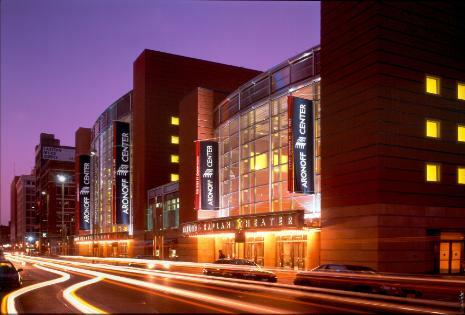 • The Aronoff has reached a collective audience total of 8.81 million people. • The Aronoff has hosted more than 13,000 events. • More than $6.53 million spent at downtown restaurants and bars in conjunction with attending a performance during the 2013-2014 season. combined with other spending for parking, hotel stays and other retail purchases, produced a total of $6.71 million in visitor spending. • The combined economic impact of the Aronoff and visitor spending amounts to over $34.3 million in fiscal year 2014.
county in the 2014 fiscal year. Cincinnatians with Broadway performances one would see in New York City. For more information, or to read the entire economic impact study, visit www.cincinnatiarts.org/AronoffCenterEconomicImpact. For more information about the Aronoff Center, visit http://www.cincinnatiarts.org/aronoff-center. Highfives to the Aronoff Center on 20 years of artistic tradition and impact!